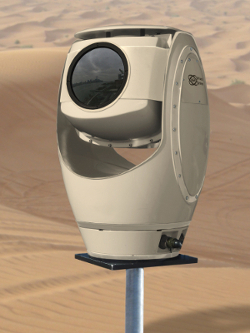 SPYNEL-X is the World's Highest Definition Infrared surveillance System. Capturing the real time, full panoramic images with an unequaled resolution of up to 120 MP it is the first IRST (Infrared Search & Track) with the best image quality and, by far, the longest detection range on the market. 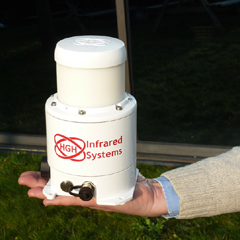 It is a unique passive wide-area surveillance system, bringing unprecedented real-time security against conventional and asymmetrical threats. It features the latest innovations in thermal sensing, integrated into a robust, field-proven mechanical design, and exhibits the highest performance in its category. 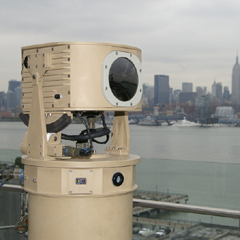 A single SPYNEL-X sensor can perform 24/7 early human intrusion alerts over a 16km-diameter area. SPYNEL-X replaces up to 90 HD MWIR cameras in one single sensor head. Equipped with Cyclopes, advanced threat detection software, it can perform early target detection over extremely large areas, in any weather conditions. An unlimited number of tracks are simultaneously identified on highly resolved images, including hardly detectable threats, such as crawling men, RHIB’s, low altitude air targets, UAV’s and stealth aircrafts. 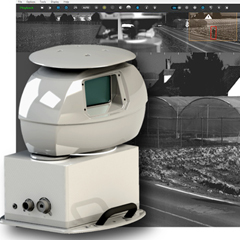 It is the ultimate solution for wide area surveillance and critical infrastructure protection for FOB’s, military bases, ship auto-protection, oil & gas infrastructures, airports, ports, borders and coasts.